Hotelogix introduces new and improved Central reservation System "CRS 2.0"! Managing room rates, availabilities and processing bookings at multiple properties in a chain or group hotel is quite a task. For example – if a guest calls up on your central reservation office and asks you to make a 2-night booking for him at one of your properties located in X, you might not be able to process that reservation if you don’t have access to that property’s inventory status. For you, this means loss of business opportunities. 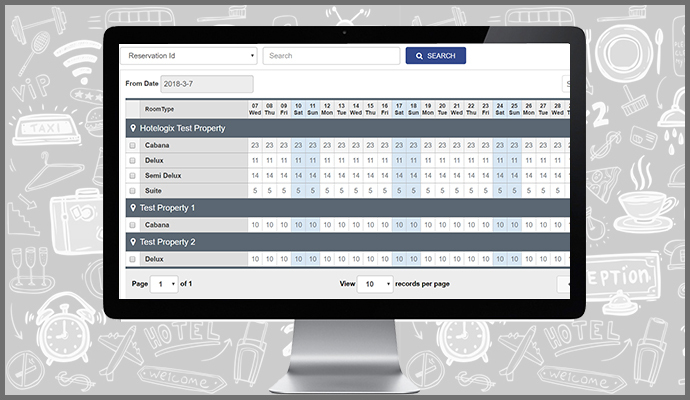 Our all new Central Reservation System (CRS) 2.0 empowers a group or chain hotel to efficiently manage reservations in multiple properties spread across locations from a central location. With a CRS in place, users can provide their hotel room rates and availability to many different distribution channels such as OTAs, GDS, internet booking engine and wholesalers, etc. Ever wondered just how useful a CRS could be for your group hotel operation? Let’s take a look at the list of features we have to offer from this new update. The availability grid: An informative snapshot of the available number of rooms for any of your properties and for each room category that is listed. 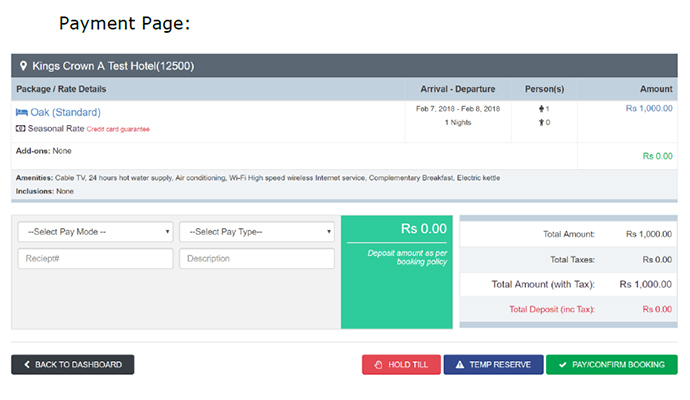 Itenary Booking: Effectively manage bookings for itineraries, accept bookings for multiple hotels/ rooms type across different check-in dates. Capture Reservation Data: Capture and maintain business critical data like market segment, source, and guest type etc for better insights and analysis. 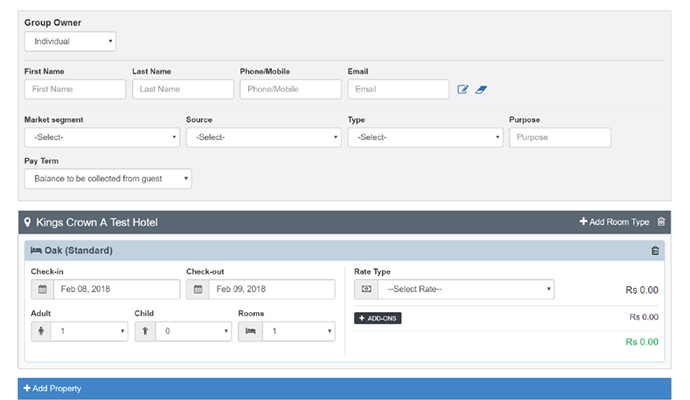 Sending Quotations: Send quotations quickly with personalized terms, and booking policies via an email. Hold Reservations: In case of temporary booking, hold the room for a specific period of time till you get reservation confirmation from the guest. Such reservation gets auto-released, and the room is made available for booking if the reservation is not confirmed by the release time. Editing of reservation made easier: You can edit a CRO booking in one go. The group owner of the CRO booking can also be updated. Modification of a Hold till or Temp booking: The status of a Hold till/Temp booking can be “changed to reserve” or “can be released”. Flexible Payments & Deposits: Empower your reservation agents to customize payment terms, or to enforce policy driven deposits to easily manage bookings, cancellations, and no shows etc. Offer Promotions & Discounts: Enable discounts and offer promo codes (coming soon) to run special campaigns that help increase rooms sales. Send a confirmation voucher: Create /confirm / or keep the reservation on hold, and send voucher via email to the group owner along with a copy to the guest. Search and edit bookings: Search booking by reservation ID, web reference ID, guest name, or group name, and modify the same as per guest requirement. Bookings can be searched using the Reservation ID, Web Ref ID or the guest or group name, allowing you to make changes as and when required. Restricting Access: Leverage the super admin console, and restrict certain users from accessing the CRS. Audit Trail: Track users movements through the system and navigate to track errors or mistakes made in order to rectify them. Get your hands on the CRS 2.0 from Hotelogix to experience the real utility of the system. Experience the benefits of an enterprise grade cloud PMS today with Hotelogix. "Hotelogix introduces its new and improved Central reservation System “CRS 2.0”! ", 5 out of 5 based on 1 ratings.